Pay your MCD Tax online Iphone in India : Look before you leap ! 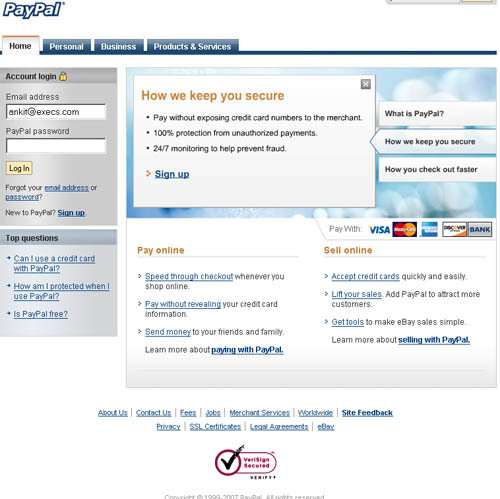 Paypal has unleashed a new beta homepage which looks a lot better than the previous one and will hopefully prevent people from making Paypal clone websites. The web page is more flashy and i believe must be having more security features built in.